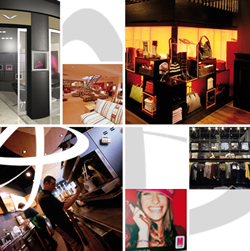 RPA Vision is a specialist in retail interior design, leisure interior design, and commercial development. rpa:vision is a specialist in retail, leisure, and commercial development. Amongst the top five companies in it's field rpa:vision delivers world-class creative solutions for clients with an emphasis on providing unbeatable value for money. For clients working in highly competitive and crowded markets, where brands need to sustain profitability and achieve standout, we provide clarity of thinking, cost certainty and dependability.